i sort of forgot about this layout. is that bad of me? lol! this was created for an assignment for an article in creating keepsakes. then it got moved to the online content part of the article. and then the article got moved out a month. so maybe that is part of the reason i sort of forgot about it. as seen in the online content for the July/August 2010 issue of Creating Keepsakes magazine. copyright creative crafts group. posted with prior permission from the publisher. this was for an article called "cool scrapbook layouts for boys and men", written by mandy douglass. you can see the online part of the article HERE. my assignment was to create a layout about a man and his hobbies or job. so i figured a layout about joe and his hobby/job of umpiring was a perfect fit. the other half of the assignment was to use masculine products and textures on the layout. here's a closer look at each of the pages. can you pick out my masculine product picks? i chose not to use any pattern paper for this layout. instead, i went with cardstock and cork paper. the self-adhesive cork paper (by karen foster) is a great way to add a fun texture to the page. and i also choose it, because it picked up the leather of his face mask in the photos. i added in some green, by stamping a background stamp (by hero arts) with green ink onto white cardstock, and then inking the edges with black ink. i used my finger to brush a little bit of black paint around the edges of the clear acrylic stars (by heidi swapp), and then added fabric covered brads (by making memories) to the centers. the metal word charms (by making memories) were tied around the stamped cardstock piece with some jute, and then the entire piece was adhered with pop dots to lift it off the page. for my title, i chose some large raw chipboard letters (by basic grey). i stamped versamark ink on each letter, and heat embossed with a distressed denim blue embossing powder (by tim holtz). the distressed embossing powder gives a very gritty, rough feel after heat embossed. which went really well on this layout. you can also see here, that i added a rough edged digital frame to each photo, before printing. gives the photos a grungey feel, and a matted look at the same time. along the bottom of the two page spread, i had a strip of black textured cardstock. i pulled out some older products to embellish these strips. first, i cut some strips from a metal mesh sheet (by making memories), that mimics the chain link fence in one of the photos. i adhered it to the black cardstock with some mini glue dots, and then added some screw eyelets (by making memories) to secure it. yes, i said "eyelets". there's a reason i keep super, duper old products sometimes. because there WILL be a perfect reason to use them again. quick card share for you. this one went up on the jillibean soup blog today. making this a super quick post today. i've been working like crazy all weekend. spent a TON of time in my scraproom, cleaning and organizing and purging. i do this over and over, and yet there always seems to be more to go through every few weeks. but my room is looking so good, and i feel like i decluttered it in a big way. i didn't even have to get rid of much, just moved things around and got rid of a lot of packaging. i was able to work my schedule with the daycare kids, so that i have today and tomorrow off. having part-timers makes that a little easier to do every now and then. lol! but that doesn't mean i'm not working. just working on my "other" job, the scrapbooking one. i have some older projects that i'm making the time to finish up, so that i can hopefully share them with you soon. i have some assignments to work on, that are due this week. i have tons of photos that i've put off editing, and really need to get too. and i'm determined to get a lot of that done in the 7 hours the girls are in school. lol! i have another pebbles layout to share, from my design team submission. i started making this about two weeks before haley was leaving, and tried my best to finish in time to get it in her book. but i ran short on time. so this is new to her parents and to all of you. last night, we had haley and her mom over for dinner. dad had to stay home since he wasn't feeling well, but we did send some yummy food back for him. it's been a few weeks now, since haley left us to start pre-school. i think it's been quite the adjustment for all of us. we miss her more than ever. i miss having someone to talk too during the day. she was such a great story teller and talked non-stop. we miss her smiling face and bouncy way of running all over. i miss seeing her mom (and her dad every now and then) drop her off and pick her up. she was always wide awake and chatting in the mornings, when i was half asleep still. and i was wide awake and chatting in the afternoons, when she was half asleep. lol! i know that haley misses us. her mom said that she's liking pre-school, and learning a lot. she's making friends and getting settled. but she also says that she still asks to come to my house every morning. which in some ways, makes me feel just a little good inside. just knowing that we were that important to her. i used the twitterpated collection for this layout. this is why i have loved pebbles pattern paper for years. look at all the fun patterns. this might be a collection geared towards love. but the pattern papers are always so versitile, and can be used for so many different things. hearts, dots, stripes. these are patterns i'll use over and over. for my title, i cut out one of the blocks from the perforated 3x3 sheet (it's a 12x12 sheet, but the blocks are all 3x3). there was a doodley flower in the middle that i didn't care for. so i wrapped some string around the card, adhered some paper flowers and a button with brads in the middle, and pop dotted the entire thing on the page. a while back, i was asked to make some accents for the tips & tricks column in creating keepsakes. the inspiration was the blue ribbon awards that you see at the fairs. i had a few cool new tools to work with, and came up with these five accents that were featured in the september 2010 issue. you can find the directions and supply lists for all of the ribbon accents HERE, in the online content of the issue. i created two banners for the jillibean soup booth at CHA, back in july. one of them was a christmas banner. and this banner was an everyday banner, using the new pasta fagioli collection. forgive me, this isn't a great photo of it. i couldn't find a spot to hang it in the house to get a good picture, and was rushing to get it mailed out in time. for each pennant, i cut a triangle from pattern paper. then i lightly adhered that to a piece of kraft cardstock, and trimmed the side edges with scalloped scissors. it was easier to use the scallop scissors and get it straight, with the pattern paper flat on the cardstock. then i took the pattern paper off of the cardstock, and used pop dots to re-adhere it to the scalloped edged cardstock. want a tip for making a perfect triangle? this is something that i would usually over-think. but i found an easy way that works for me. for this banner, i cut my pattern papers into 4x4 inch squares. you can do whatever size you want, but start with square pieces of paper. along one edge, use a ruler and a pencil to make a mark in the middle of the paper. so for my 4 inch wide piece, my mark was at 2 inches. you will want to cut from the pencil mark, to the opposite corner. and then from the pencil mark to the other opposite corner as well. did that even make sense? lol! i don't normally trace it onto my paper. i just use the trimmer as my guide. but i wanted to show a better view of where the cuts will be. although you could certainly trace the lines onto the backside of your paper, just to be sure that you're cutting it right. i use my trimmer as my guide on where to cut. i just line up the pencil mark and the opposite corner right along where the blade cuts. and you should end up with one of these. a perfect triangle. if you do NOT end up with something looking like this, please don't blame me and my instructions. just try it again. lol! another not-so-great photo. to finish off each triangle, i added a journaling sprout to the center of the triangle using pop dots. and then added my corrugated alphas to the journaling sprout, with pop dots also. i love my pop dots, and i might even have a legit addiction to them! i used a long length of brown polka dot ribbon, and strung some wooden bobbins onto it. i then used mini wooden clothespins to hang the pendants from the ribbon, spacing them inbetween the bobbins. this past monday was the girls first day of the school. back to the paper and the books. back to the backpacks thrown on the floor. back to making lunches every morning. back to homework and tests. school makes life hectic and busy. but school also gives us a routine and some structure to our days. and that has been much needed around here. usually, i take the girls "first day of school" photos AFTER school. the lighting is better, we're more relaxed, and we have more time. and i'm sure i'll re-stage the "first day of school" photos again in the next week or so, so i can get additional ones. but it was kind of nice to take out the camera, and snap a photo of each of them as they walked out the door. alyssa is in high school now! her first day as a freshman. last week, they had some activities that helped prepare them for the start of school. she's in the band (that's her clarinet case she's holding), so she went to a mini-band camp. they had a round-up day, where they turned in forms, ordered PE uniforms and yearbooks, got their schedules and locker assignments. then last friday, they had a 4 hour freshman orientation. i think it really helped to get to learn the campus a bit, and see where their classes were ahead of time. made the first day a little less nerve-wracking. she's got friends from last year in most of her classes. she's got a pretty heavy schedule, with some tough classes. but i know she'll do great. because she's in band, she's actually taking one extra class. so she's in school for 8 full hours. and we're doing some car-pooling with one of her good friends, which really helps since we have to drive them to and from school. and sarah's in the 6th grade now. her last year, before junior high. when i say it that way, i almost feel like she'll be off at high school before i know it. lol! this is also the first time that her older sister isn't at school with her. so she's walking on her own in the morning. it's right across the street, so it's not far. but makes her look so much more grown up, when she walks out the door. we were kind of bummed that she didn't get a class with any of her best friends. but she doesn't seem to worried about it. she hasn't had any homework yet, but i'm sure it'll kick in next week. this is another one of my layouts that i created for my bella blvd submission, using their man of the house collection. it only made sense to do a layout about the man of our house, joe. i know i have used both of these photos on other layouts, individually. but that's no reason i can't use them again, and this time together. the colors that the girls and i were wearing in our family photo didn't quite match the colors of the papers, so i changed our family photo to black and white. i like mixing color pics with black and white pics every now and then. 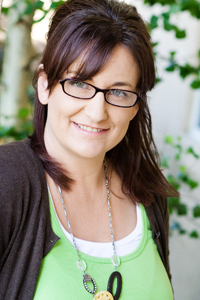 in fact, my good friend and a brilliant scrapper erin clarkson, did a blog post about this technique HERE. for my long time blog readers, i'm sure you'll all attest to how often i would do my "random" posts. where i would just spout out totally random things and thoughts. i sort of got away from doing those sort of posts on the blog over the last year or so. and i'm starting to think that facebook is to blame. on an average day, i update my status 3-6 times. sometimes less, sometimes more. and it's random stuff. updates on what's going on, or what i'm doing that moment. something funny the kids did or said. or total nonsense, that no one probably cares about. lol! and then friends will comment, and some funny conversations come out of it. so i really am getting all my randomness down. it's just on facebook, and not my blog. so i thought i would share a handful of my facebook status updates from the past few weeks. an easy way to give you a peek into what sort of randomness has been going on around this joint. sarah and i found the cutest decorative wrought iron green owl, while out shopping today. he was filled with some potpourri in fabulous colors of brown, white, and yellows. he had to come home with me. now i'm realizing how stinky that potpourri is (duh, laura. it's potpourri). my pounding headache has decided that i might have to send him back to the store he came from :( for the record, he's still here and not so stinky anymore. lol! i played the part of cinderella tonight, complete with a bucket of soapy water and a scrub brush. 1/3 of my kitchen floor is now cleaner than it's been in years. we'll see if i get to the other 2/3's of the kitchen ... and the laundry room ... and the entry way ... and the 3 bathrooms. orthodontist. bank. target. load up on school supplies. extras to donate to the teachers. icees for the girls. starbucks for me. lunch is on the stove and then we can relax. i can't decide what to work on tonight. 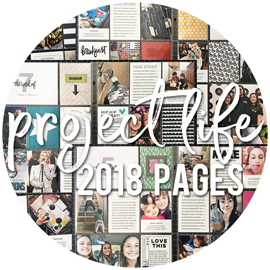 editing photos, scrapbooking, writing up my project that needs to be mailed out, typing up a blog post for tomorrow, filling out alyssa's high school paperwork, laundry, or sitting and doing nothing at all? i have a feeling it will be a random mix of all of those at once. lol! i'm bored. don't get me wrong ... i have plenty of things to do. just don't feel like doing any of them. joe and sarah left for soccer practice. i'm taking alyssa to the high school for round two of mini band camp. back home to figure out dinner. back to get sarah, and then we're headed to the parent part of band camp. we think it's crazy now ... just wait until school starts next week. lol! i'm so, so, so close to finishing a new digital layout of sarah. was hoping to stick it up on the blog tonight. will have to wait until tomorrow. getting ready to put together 2 kitchen chairs. crossing my fingers that these aren't wonky and wobbly, like the last ones. 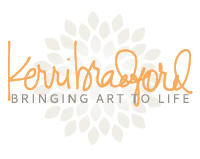 i had a new layout go up on the jillibean soup blog today. 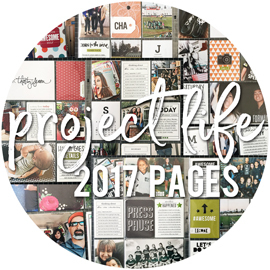 we did a ton of school projecs last year. but alyssa did a few experiments for science class, that i thought would be fun to make a layout about. the two main projects here are the mouse-trap race car, and the bottle rocketship. although i guess i had my information wrong. when alyssa saw that i had written that science was one of her best subjects, she was quick to correct me. she said "that's the one class that i ever got an A- in". lol! i used the new atomic soup collection, which is a really fun science and school themed collection. i used the minced molecules pattern paper, which has the really cute test tubes. and then i used a few scraps of some other patterns, to make my paper covered brads with my itop tool. i also used some of the soup staples pattern paper on the bottom of the layout, and some embossed cardstock from coredinations (with the jillibean number pattern) across the top. i added a few of the atomic soup journaling sprouts. i really love how the new sprouts have the images and patterns on them. i added some tiny alpha stickers to one of them, with alyssa's grade and the year. i meant to add a little dash in between the 09 and the 10, since it was for the 2009-2010 school year. will have to remember to add that later. i wanted to share one of the layouts i created for my pebbles design team submission with you today. i used the may bouquet collection for this layout about my parents. i've never actually scrapbooked about my parents before, and i'm glad i finally took the time. i admit that i'm not great at talking about my feelings or expressing things directly to people. and that also extends to my family. i like to think they know how i feel. but i still think it's nice for them to hear it now and then. and what comes naturally to me is writing. it's how i can best express myself. and i've been like that since i was a kid. the journaling is short and sweet. we really are so grateful for all that my parents do for us and the girls. we're fortunate that they live just a few blocks away from us. so they're always around to help out. they let the girls go over and go swimming whenever they want. they drive the girls places, when i can't. my mom volunteers with the awana program at the church, and drives the girls to and from every week. they come to all the girls soccer games, school performances, and band concerts. my mom builds me all the furniture pieces that i ask for, and refinishes furniture when i want a new look. my dad makes sure to get joe out golfing every now and then, when he's been working too much. they both put up with our questions and phone calls, when there's something with the house, the yard, or the cars, that we don't know how to handle. i could mention a ton of ways that they are here for us, and help us out. but when you get right down to it, we're just thankful and appreciative. for everything. i used a mixture of the paper flowers, the pebbles chips, and the epoxy brads to make this fun border. i also added in a few other buttons and brads. i love all the dimension that all the layers add to a layout. i also adhered that chipboard accent in the bottom corner, with large pop dots. my niece, jovaughnna, is starting her senior year of high school tomorrow. hard to believe how much she's grown up, since i first met her. she asked me if i would take her senior pictures for her, and i was more than happy to help her out. we met up one evening last week, and within two hours, i had taken almost 400 photos. it took me hours to go through them, and to narrow it down to the best of the bunch. i was so worried that i wouldn't get enough perfect shots, and in the end, i gave her 52 of them. lol! now she's going to have to spend hours going through them and choosing. lol! it's really hard for me to pick my favorites. but here's a few that stand out to me the most. here is one of the layouts i created for my submission. for those of you that are my friend on facebook, you might remember a status update i did last week about sarah. she was in my scraproom and must have seen this layout on my desk and read the journaling. the last sentence says "is the most gorgeous daughter that a mother could ask for". and she got mad at me. lol! so i had to show her the layouts of her that i have done that say similiar things. it's ok to say something like that about each of your kids, i think. i didn't mean it so literally. lol! i got news yesterday that i would be a part of the 2010-2011 pebbles design team! i'm so excited for this amazing opportunity! i have been a huge fan of pebbles products from the beginning, and they have only gotten funner and cuter over the years. i cannot wait to get started! first up, thanks for all the sweet comments on my cover layout! appreciate them all. and now, to pick a winner for a free copy of scrapbooking tips & tricks: tools & techniques. i turned to the random number generator. in full disclosure, it choose #29. which was dawn, who mentioned that she already had the issue and not to enter her name. so i tried again, and i got #49. congrats KATEMERI! email me your info and i'll pass it along so that CK can get your copy mailed out to you. as seen in Scrapbooking Tips & Tricks: Paper Palooza issue, by Creating Keepsakes magazine. copyright creative crafts group. posted with prior permission from the publisher. 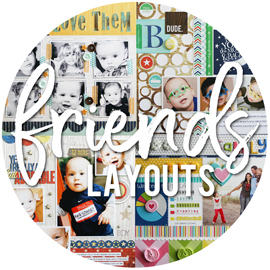 here's another one of my layouts from the previous scrapbooking tips & tricks: paper palooza. geez, could i have taken a more wonky photo of it? lol! admittedly, this was another layout that i had to make changes too. i had completely different papers for my flowers. but they asked for some bolder patterns. and i love this version more than my original. the idea was to use die cuts to make your own pattern paper. i choose a single flower die, by quickutz. and i choose a few sheets of pattern paper, and went to town die-cutting a ton of flowers. i actually cut a piece of white cardstock for each area that i wanted to add the flowers. then i adhered the flowers in rows on that piece of cardstock. i was then able to trim off the parts of the flowers that went off the edge of the cardstock, to give it nice and clean edges. it's hard to see in this photo, but i added those pieces to the layout using pop dots for some extra dimension. 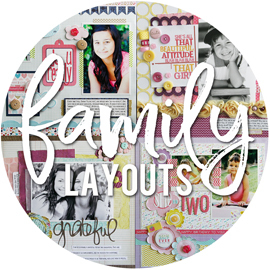 i thought i would share one of my layouts with you today, from the last scrapbooking tips & tricks issue. this was created for the paper palooza issue, which was all about pattern paper. my technique idea was to take small torn pieces of pattern paper, and use them to cover chipboard shapes. the layout in the magazine looks slightly different than what you see here. i forgot to get a picture of the final version. in the magazine, my layout has all color photos. this shows a few black and white photos. in all honestly, this layout went through three changes, before making final approval. i don't always get it right the first time out. lol! this was my first attempt. the photos here aren't the best, and a tad bit dark. but i loved this layout, and the colors and papers. but the very smart and all-knowing editors at CK, thought that we needed bolder pattern paper choices. i fought it a little. but in the end, they really do know what they're talking about. i still love my first version, but the third one fits the technique and the article much better. back to the layout. these are all photos of my family that i took on thanksgiving in 2009. i hardly ever take pictures on thanksgiving. but this past year, i was putting together a "what we're thankful" mini album, and i wanted to be sure and have a photo of everyone that was there. the reason i added some black and white pics on this version, was because i had a lot of color going in people's clothing choices. in the end, they asked for all color photos. yes, i did a lot of photo printing for this assignment. lol! on this page: my brother scott and his wife kathy, my dad john and my mom kathie, and my sister wendy, and of course our family, joe, me, alyssa, and sarah. for the hearts, i just choose a few different pattern papers and tore a bunch of little pieces off. then i covered my chipboard hearts with adhesive, and started layering the torn pieces onto the heart, overlapping them as i went. i ran short on one of the hearts (since i did two totally different layouts). so i traced the heart onto a piece of cardstock, and used that to layer the torn pieces of pattern paper onto. then i sanded down the edges of all the hearts to finish them off. on this page: my cousin brad and his wife issa (who's carrying baby zachary, born 4 weeks later), my cousin stephanie and her husband dustin, my grandma hildred, my aunt vicky, my grandpa frank, and my aunt sandy. and yes, i say that because i designed the cover layout. lol! i am kind of a dork. and every time the girls and i see this issue at the stores, i stop and say "wow, that's an amazing cover!". and the girls go with it and say "why yes, it IS". i was thrilled to be asked to work on the cover, and had a lot of fun taking on the challenge. and here's an extra look at one of my other layouts that's featured inside. this issue has tons of great ideas for using some great new tools. 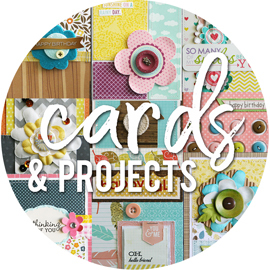 i got to work with the GCD studios chip art tools, by melody ross, for one of my layouts. and the stampin up color coach, for another layout. and then there are all the tips for little techniques you can do, using the supplies you already have. just like what i did on the layout above. if you'd like to see a little peek inside this issue, click HERE. you can also use the code TT3B3, to get free shipping on orders of $20 or more in the scrap and paper corner store, though august 20th.